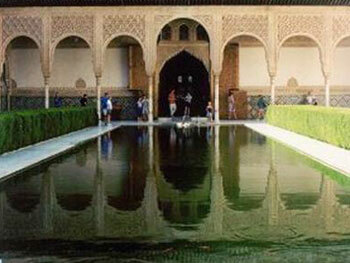 If you choose a Spanish course in Granada, Andalucia, you will study in a location like nowhere else in the world! Granada is situated at the foot of the beautiful, snow-covered, Sierra Nevada Mountains and yet, at the same time, it is just a short journey to the warm beaches of the Mediterranean coast. 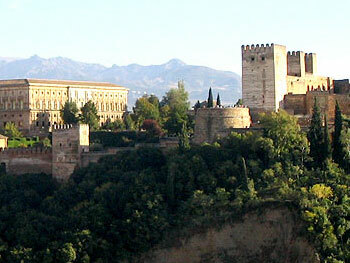 Granada is a breathtakingly beautiful city, rich in history and culture and a truly spectacular place in which to study. Take a walk through the cobbled streets and marvel at beautiful houses and spectacular viewpoints, or visit one of the city’s many unique monuments, such as the Alhambra, for a real insight into Granada’s cultural heritage. The city is also home to many festivals throughout the year, such as the International Theatre Festival, Tango Festival and International Jazz Festival, giving you the perfect opportunity to sample local culture and enjoy celebrations like a true Spaniard! Our modern Granada school, situated in a historic and renovated house, is ideally located right in the city-centre, just a 5-minute walk from the Alhambra and 1 minute from Plaza Nueva. Our school is the perfect base for exploring the entire city on foot, with many elegant streets nearby that are all brimming with Arabic shops selling a variety of unique and interesting items. What’s more, Calle Elvira is just around the corner - a district that is popular among students for its vibrant nightlife! The school itself is comprised of 7 classrooms, an extensive library where you can borrow a wide variety of Spanish books, films and music, a multimedia room and free WiFi access throughout the building. Just like a typical Andalusian building, our school also has an inner patio, which provides a perfect meeting place for students outside of class, and a terrace, which looks out onto the city centre. Choose from a wide range of courses at our school, which allow you to study in the way that best suits you! Our Granada school offers an Intensive group course, consisting of 20 group classes each week. Classes are kept small, with just 2-8 students in each group, allowing for a more personalised learning approach. The Intensive Spanish course is a fantastic option if you are looking to improve your overall level of Spanish, whilst also having plenty of time to explore Granada and put your language skills into practice outside the classroom. If you wish to progress at a faster pace or delve deeper into the individual topics covered in the Intensive Spanish course, then you may choose the Intensive + Private Lessons option. 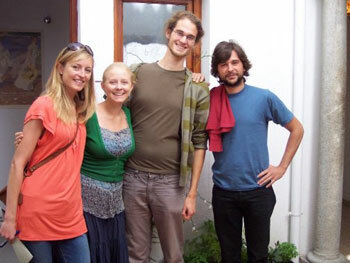 This combines the Intensive group course above with either 5 or 10 Private Spanish classes per week. Perhaps you have a particular interest in Spanish literature, art or history, and this course will allow you to tailor your learning to fit these individual interests. If you require a more personalised and flexible Spanish programme, opt for a course of Private Lessons only. Our prices include the cost of 20 private lessons each week, but it is possible to arrange between 2 and 8 lessons per day. Don’t hesitate to contact us to discuss your requirements in further detail! 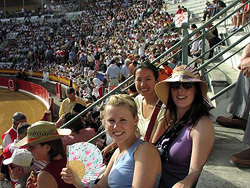 Complementary to the Intensive Spanish Course, we also offer a Spanish Business Course in Granada. This course consists of the Intensive course, plus 2 daily classes which focus specifically upon Spanish for business purposes. It is designed for those who need to use Spanish in a business context, and aims to develop practical skills such as presentations, interviews and job applications. It also includes at least one trip to a Spanish business or official organisation in Granada, giving you the opportunity to use your business Spanish in an authentic context! Do you want to improve your job prospects or gain an internationally recognised qualification in Spanish? We can prepare you for the DELE exam in Granada, with the help of our school’s special DELE Exam Preparation course! This course consists of 20 group Spanish lessons each week and two daily classes which focus specifically on preparation for the DELE examination. There will be just 1-5 students in each preparation class and we offer this course at all levels of the DELE examination. You can study from 2 to 8 weeks before the official exams take place. As the birthplace of Flamenco, Andalusia is the perfect place to learn more about this authentic form of folk music and dance! Taking a Spanish course with Flamenco lessons in Granada will give you an additional 2 Flamenco classes daily on top of the standard Intensive course, which take place from Monday to Thursday. Our school accepts Spanish and Flamenco students at all levels. If you are looking for complete immersion into the Spanish language and an authentic insight into the Spanish way of life, you can choose to live with a local Spanish family. Our school carefully matches students with local families, who are experienced in hosting international students from a variety of different backgrounds. Accommodation is offered on a half-board basis, meaning that two meals per day will be provided by the family. If you would prefer a little more independence, you can choose to live in a single or shared room, in one of the school’s shared apartments with fellow language students. The shared apartments include private bedrooms and shared kitchen, bathroom and living facilities. have fully equipped kitchens for you to prepare your own meals. All apartments include a washing machine, and bed-linen is provided. Our school’s extensive activity program will show you the very best of Granada and give you a truly unforgettable stay! Regular activities include guided tours around the magnificent Alhambra, the medieval Albaicín, the Generalife and other popular places in the city. The school also organises a number of trips to explore and discover other parts of Andalusia, with excursions to the Sierra Nevada, Seville, Cordoba and Ronda. Other activities include Flamenco nights, tapas tours, Spanish and Latin American film evenings, parties, cooking classes, sports activities and much more! 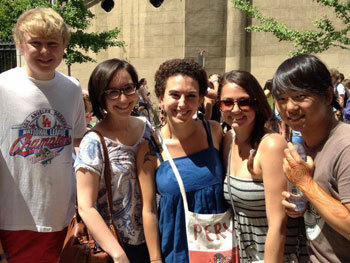 Make the most of your stay in our school and immerse yourself in the social events. Please note that some activities are free to attend, and others may incur an extra fee. Most of our students either fly into Granada Airport or Malaga Airport. From Granada Airport, you can catch a city bus which will take you right into the centre of Granada. Granada is also easily accessible by public transport from Malaga Airport, taking just 45 minutes by bus. Average score for our school in Granada based on 22 previous client reviews. Comfortable and clean accommodation, a little bit noisy because it was in the traditional centre. It was a good and special learning experience. I am comming back for sure. Comfortable, clean accommodation. Excellent hostess. Delicious food. The school was flexible with which class I should join. In the end, I joined a beginner class which was a review but very appropriate for my abilities. Classes always started on time and the two instructors had great personalities and did a nice job. My accommodation couldn't have been more appropriate. I could tell that a lot of effort went into matching the students with the families. If I return, I would ask for the same hostess. I had a really great experience and am planning to do another course. I may look for a Spanish course in another city just to experience a new environment. Learnt loads, had great teachers and met fun friends! If ever I get the chance I'll definitely go back! Rosa, my host, was adorable and we got on like a house on fire. She spoilt me rotten. The course was excellent. The professors were highly professional, patient and kind. Everything was efficiently organised and managed and I feel that I benefitted enormously from the course. The accommodation [shared apartment] was ok. I would only like to add that [the school] is a great language school with excellent teaching staff. I would be happy to return there and to recommend it to others. I thoroughly enjoyed my time in Granada, and I always found the school staff to be very kind and well prepared. I absolutely loved both my accommodation and the people managing it, and its unique position gave me a fantastic occasion to move and explore the wonderful quarter of the Albaicìn. Granada is one of the most beautiful places I've ever been to, which added to the experience of learning a new language I particularly cared about. Its history, art and tradition make it a most enjoyable place to study and learn about another culture. Excellent support from experienced admin and teaching staff. Experienced, enthusiastic, friendly staff. Lively, enjoyable lessons which improved my Spanish on all levels. Was placed in exactly the right level group. Great atmosphere that made making new friends and contacts very easy. Superb range of excursions - day, evening, weekend. 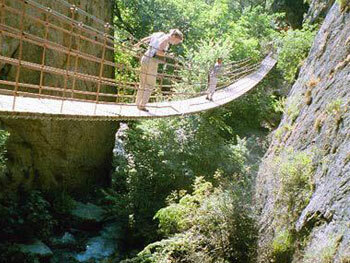 Many free of charge such as the excellent guided tours and open air cinema. I would highly recommend. The first family was unsuitable as there was a smoker in the house. The school moved me to a better family within 6 hours. Bright, airy appartment in the centre of town. Lovely couple. On the first day we were asked a few questions by a teacher in order to assess our level and place us in a class, I found that my class was perfect for my level of Spanish! The teachers almost always spoke Spanish but at a pace which we could all easily follow. I felt so much more confident with my Spanish after 4 weeks. My accommodation was a flat with other students about 10 minutes' walk from the school, it was in an ideal location on a plaza with a mini supermarket, cafes and plenty of tapas bars! I found living with students to be best for me as it enabled me to make friends quickly and easily, and although we were all native English speakers we all tried to add a bit of 'Spanglish' into our conversations. The school organised activities every day in the afternoons/evenings which was a great opportunity to meet people and make the most of our time in Granada. My favourite activity was definitely the weekly tapas night! I also had the opportunity to visit the world famous Alhambra thanks to the school. Exceeded my expectations, absolutely no-stress but motivating atmosphere. Loved it, finally my Spanish is communicative! Great accommodation, though maybe a bit too dark (room in a tenement located quite low). We loved living there and started to feel like a locals thanks to our host. Great service in all aspects, both Apple service, our host and the school were great. Susana and Pepi were terrific and I loved their methodology. Thanks, Apple Languages. As always, eyes lo maximo! I had an excellent week of classes in Granada. The courses were all very well organised and the school did whatever they possibly could to help out the students - to make sure that they were in the right level of class, etc. I particularly enjoyed the fact that every day the lessons were 1.5 hrs of learning grammar and 1.5 hrs of conversation where the teacher made sure that everybody spoke/had a chance to speak. I stayed in the school accommodation. It was a flat right next to the school, very well located in the old town. The room was nice and big and if there were any problems they were fixed straight away. Brilliant school with excellent teachers. I am writing this to say a huge Thank You to you and your team for arranging my trip to Granada! I had the most amazing experience! Everything - from my host, who made me so very welcome, to my time in school, the trips I experienced - just a fantastic time! The school was great - the tutors were lots of fun while at the same time, being very professional with lots of interesting teaching styles, to encourage each student. I was hugely impressed and saw that they genuinely love their roles at the school. I went on lots of really interesting trips too, so much history, and being accompanied by tutors brought it all to life. Everyone I met made me feel so very welcome - I feel I had a taste of real Spain in this beautiful city, and had so many interesting conversations with local people too. So, once again, thank you all so much for making this experience possible, arranging everything so well. My accommodation was in a great location and clean and big and everything you need. The school activities were great. I was a complete beginner and was assessed and placed in an appropriate class. Learnt lots quickly, teaching is amazing. Very clear despite using no english. Loved it. The accommodation was very good, close to school, really nice housemates. The course was professional and funny, one of the best experiences of my life!!! My experience has been overwhelmingly positive. The course offered the right balance of a formal curriculum alongside additional lessons tailored for my individual needs as a learner. After only a fortnight, I left the course with a far more comprehensive knowledge of key grammatical concepts that I had always struggled to grasp as a learner in the UK. More importantly, this course completely re-ignited my passion for learning Spanish which had begun to wane in recent years. The accommodation (a host family) was equally excellent. My host family was extremely hospitable and quickly made me feel at home. My only regret is that I was not able to stay longer.